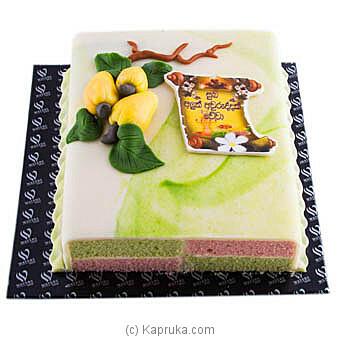 Send this Waters Edge ribbon cake covered by marzipan to wish your friends and loved ones happiness and prosperity on this Sinhala & Tamil new year. Note: This cake will be available on after 7th of April. MUNCHEE MILK SHORT CAKE - 20..
KIST WOODAPPLE NECTAR - 500M..
KIST MANGO NECTAR BOTTLE - 5..
MINO MOSQUITO REPALENT - LOT..